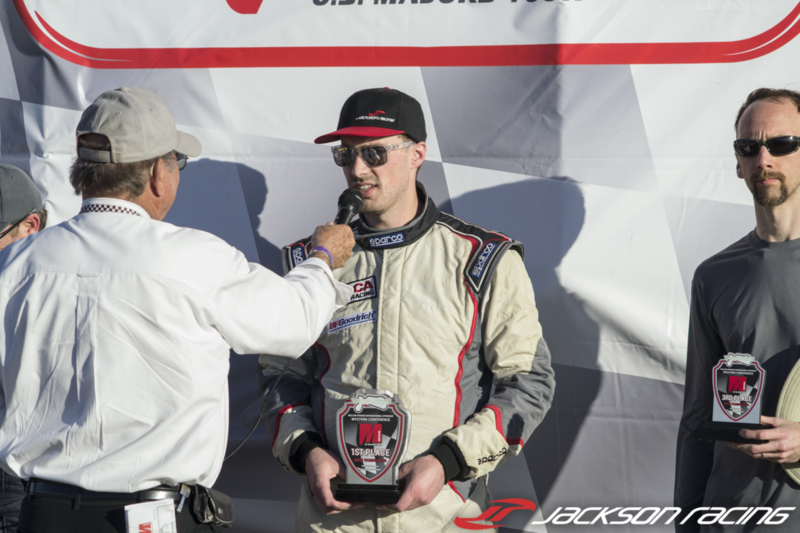 Chino, California (February 22, 2016) – Jackson Racing heads to Willow Springs International Raceway in Rosamond, CA for Round 2 of the SCCA Majors Tour. 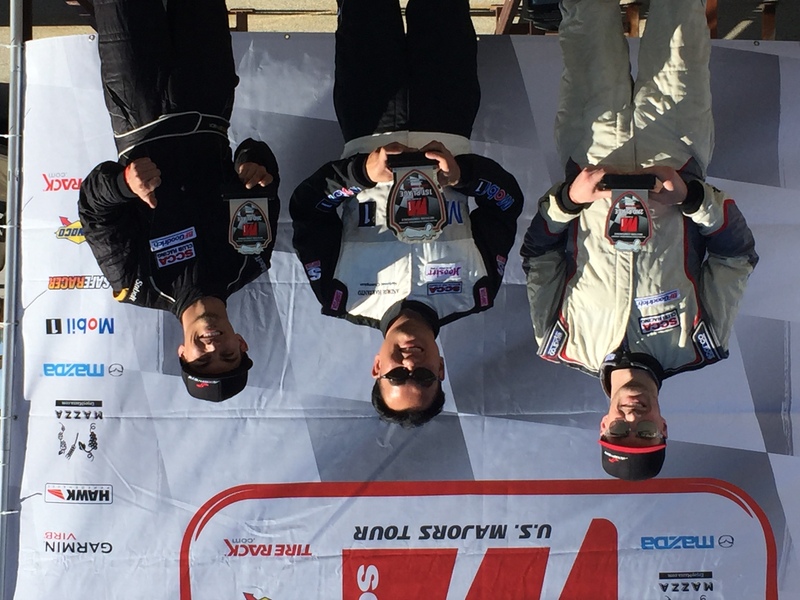 Round 2 of the SCCA Western Conference Majors Tour was filled with excitement! A stacked class in STL and the addition to quite a few competitors in the STU class, made for some great racing and a fun weekend! Saturday qualifying went extremely well. 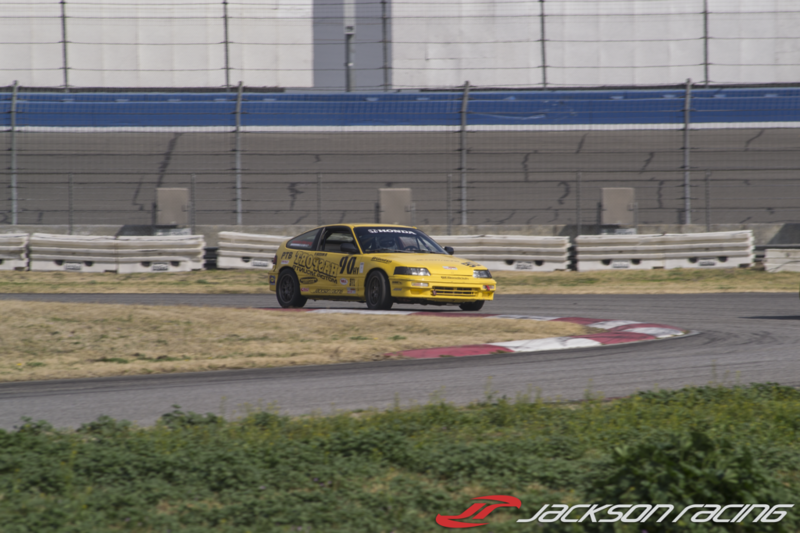 The weather conditions, and a clean track led to fast lap times and our driver, Oscar Jackson Jr. drove the Hasport/Jackson Racing CRX to the Pole Position in STL. Teammate Clint Boisdeau was right behind in his MotoIQ Civic. Although the CRX would start out front, there was some fast cars in the class and the competition would be tough. The Saturday STL race was exciting from the drop of the green flag! 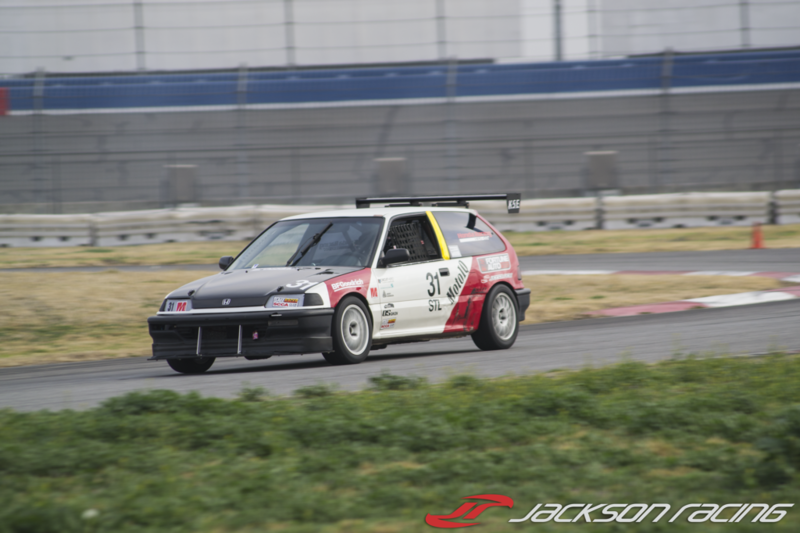 After a odd split start that didn’t quite go as planned, the CRX was out in front with the rest of the class following close behind. 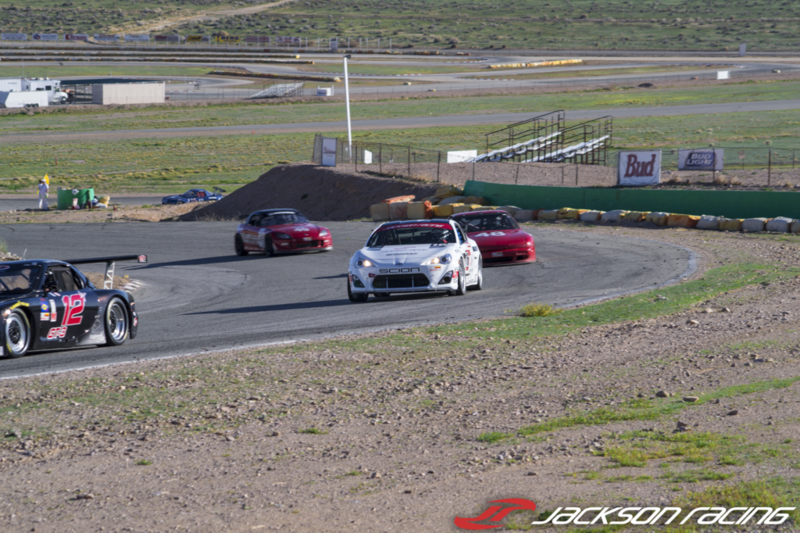 There was an intense 3-way battle between the CRX, Integra, and an RX3. 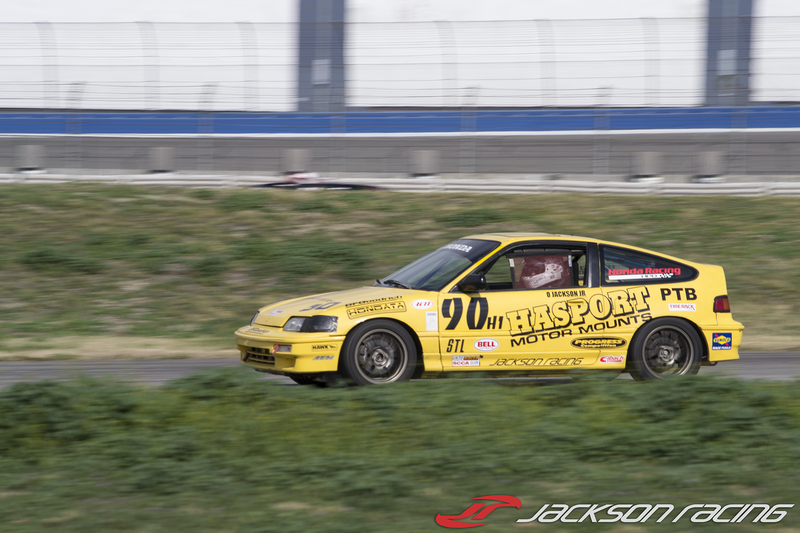 In the end the Hasport/Jackson Racing CRX came away with the second spot, with Clint Boisdeau in 3rd right behind. Round 2 brought out a lot of new competitors in the STU class. The new cars that came out were finely prepped, and it would not be an easy race. 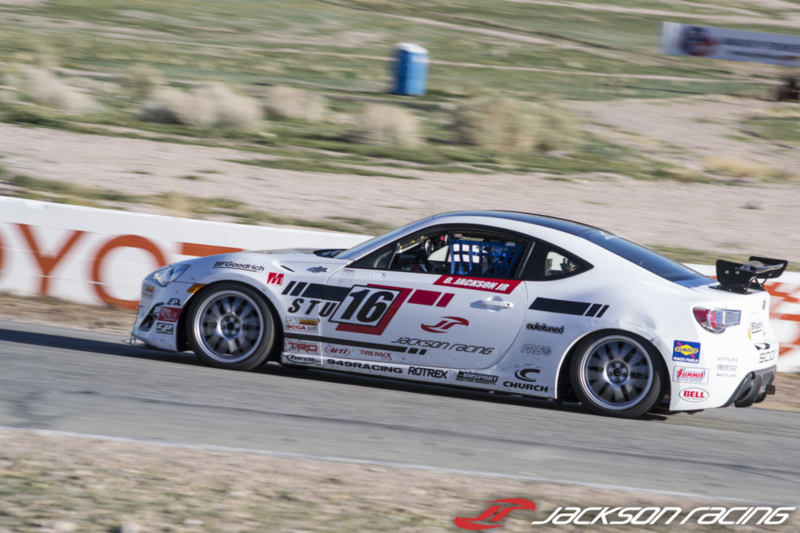 Thanks to APR Performance, the Jackson Racing FR-S had some new aero components for the weekend and the team worked hard to dial them in. Oscar Jr., again, got the FR-S on pole with some wickedly fast times in Saturday qualifying. 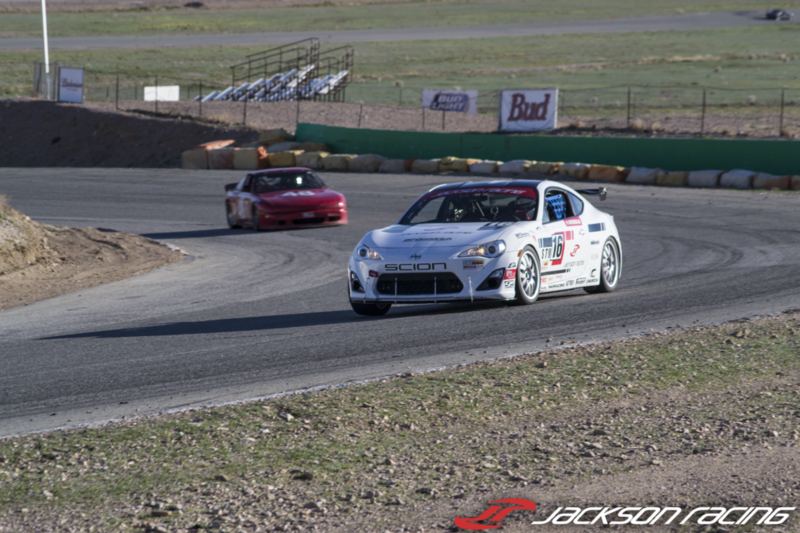 The Jackson Racing FR-S started on pole and quickly started pulling away from the pack. 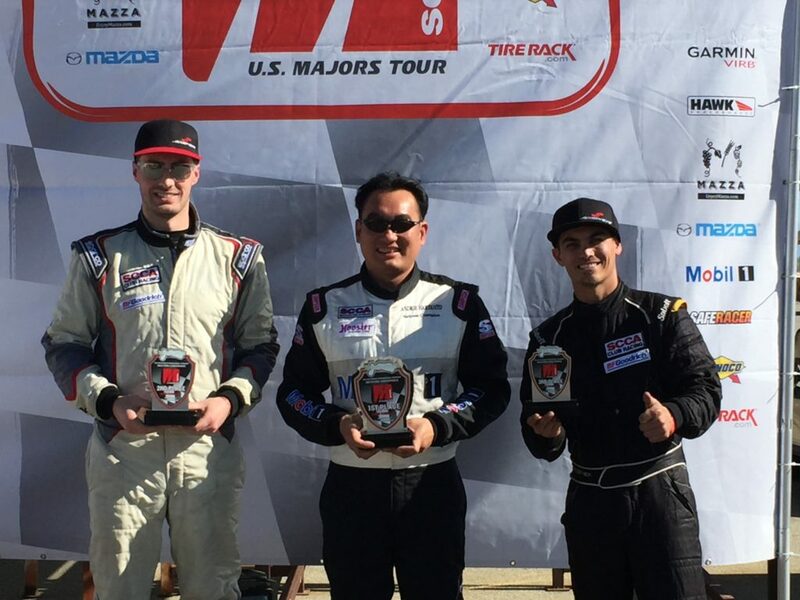 The new APR Performance aero package paired with the BFGoodrich R1-S race tires gave Oscar Jr. the grip he needed to keep a fast pace all the way to the end for the win! The team decided to make some suspension adjustments to the CRX for the Sunday STL race in preparation for another battle with the very well sorted Integra. The CRX jumped out to a early lead ahead of the Integra. 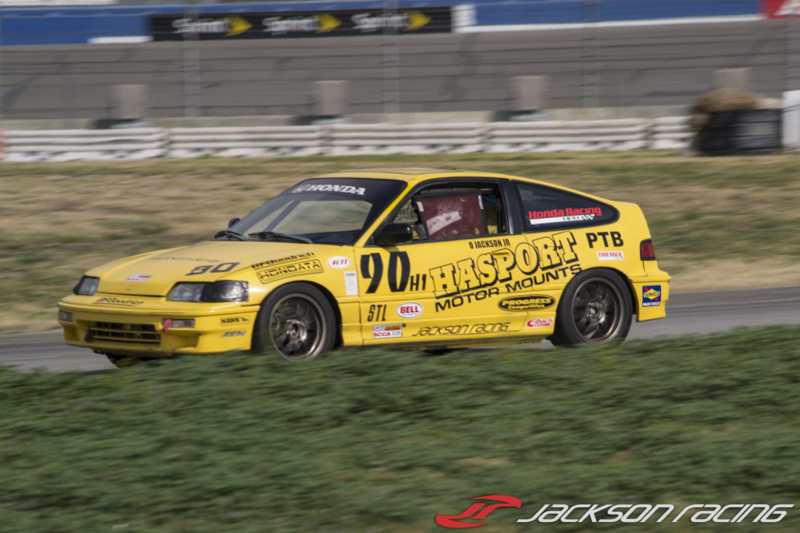 Unfortunately, Oscar Jr. was slowed by some other class racers and losing the momentum cost the CRX the lead. Oscar Jr. did a great job trying to catch the leader, but the Integra was just out of reach. The Hasport/Jackson Racing CRX took 2nd, with Clint Boisdeau rounding out the podium in 3rd. 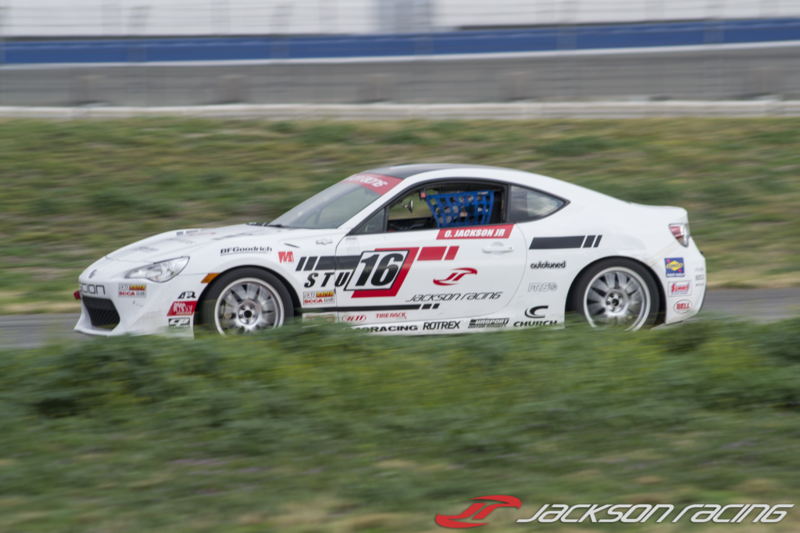 The Jackson Racing FR-S started on Pole again for Sunday. An S2000 came out of the gates fast and got to the inside and was leading exiting turn 1. Oscar Jr. was able to quickly get the lead back and push forward. 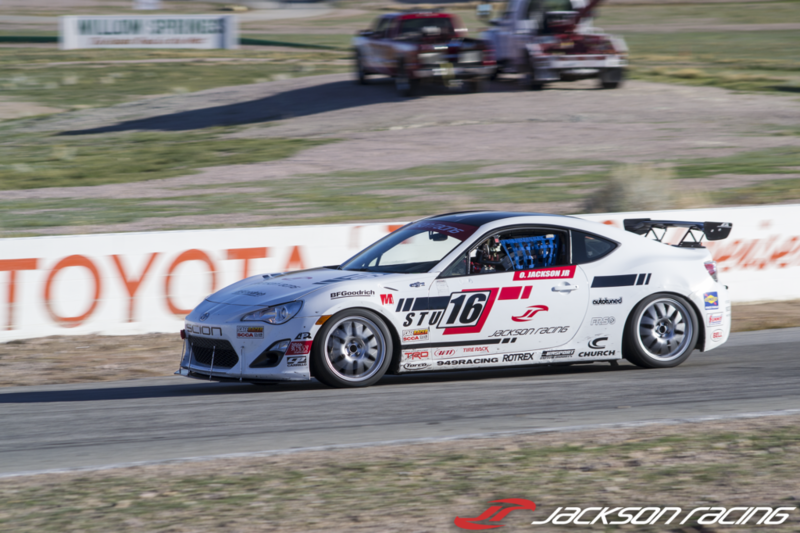 The FR-S continued to keep a fast pace for the remainder of the race to finish first. 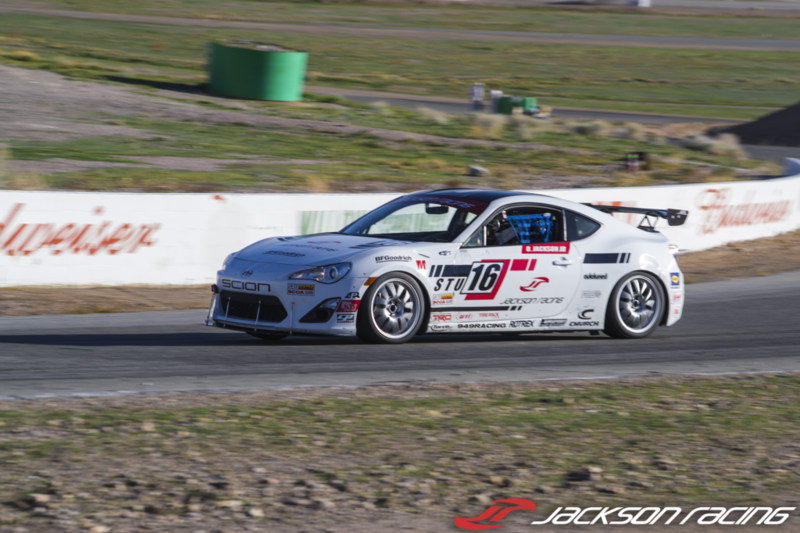 The FR-S has been running fantastic and the Jackson Racing team looks forward to seeing how the car will perform at its first visit to Thunderhill Raceway in April for Round 3 of the Majors Tour. Chino, California (February 1, 2016) – Jackson Racing battles weather at the SCCA season opener in Fontana, CA. The weekend started off fantastic during qualifying on Friday and Saturday morning. 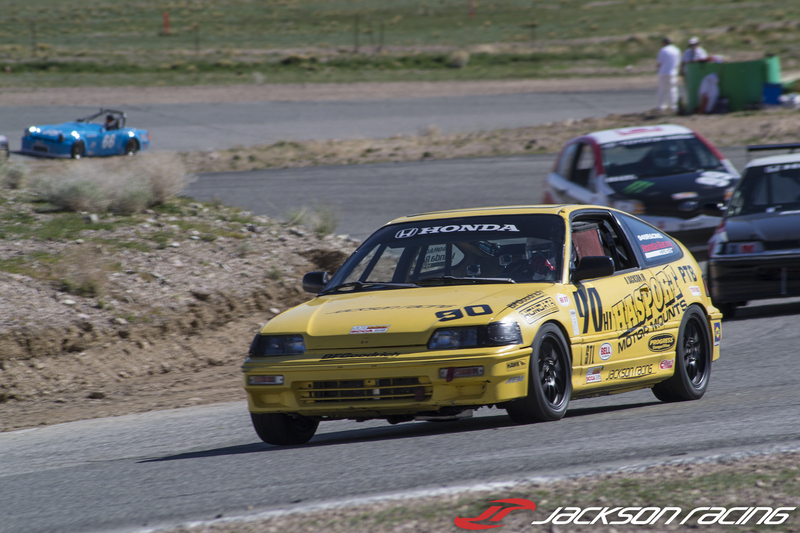 A well prepped car and good weather conditions yielded a STL (Super Touring Light) Class Record, with the Hasport/Jackson Racing Honda CRX. 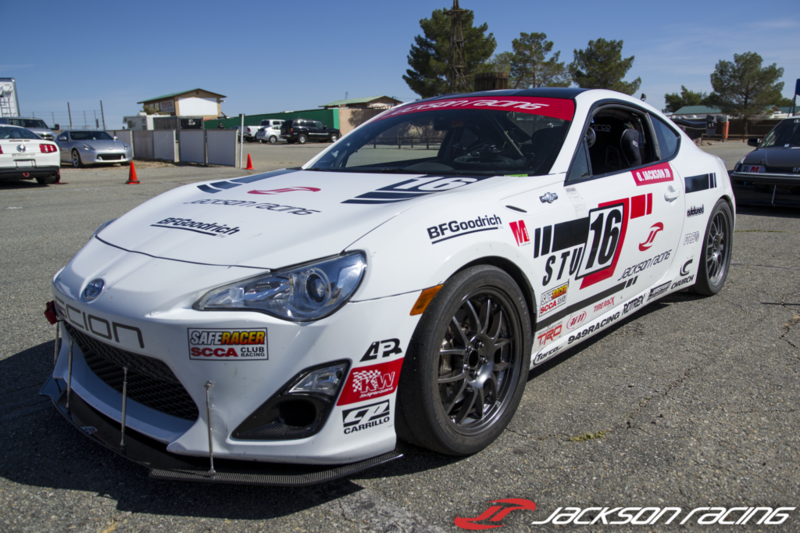 The Scion FR-S was also running great and Oscar Jackson Jr. piloted the car to the pole position for STU (Super Touring Under) Class. The STL race was the first of four for the weekend (2 STL races and 2 STU races). 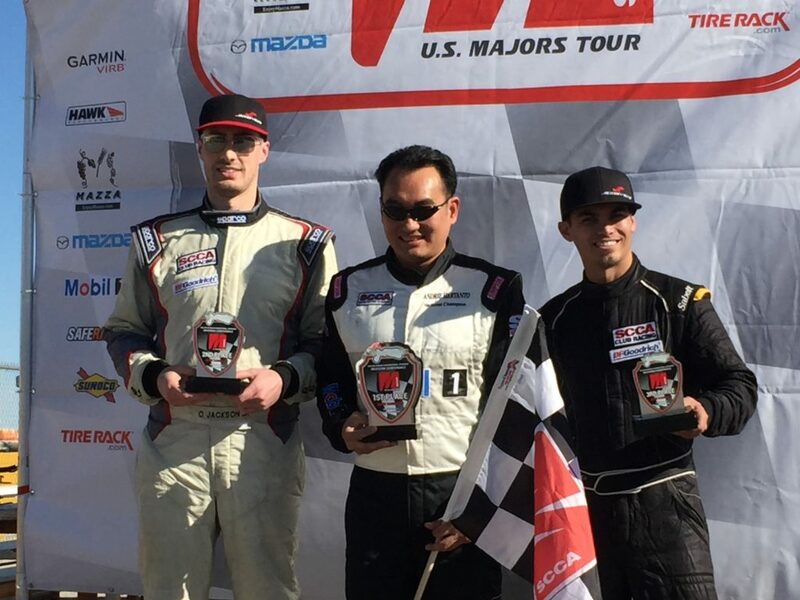 The CRX began the race on pole, and maintained the position throughout the race. 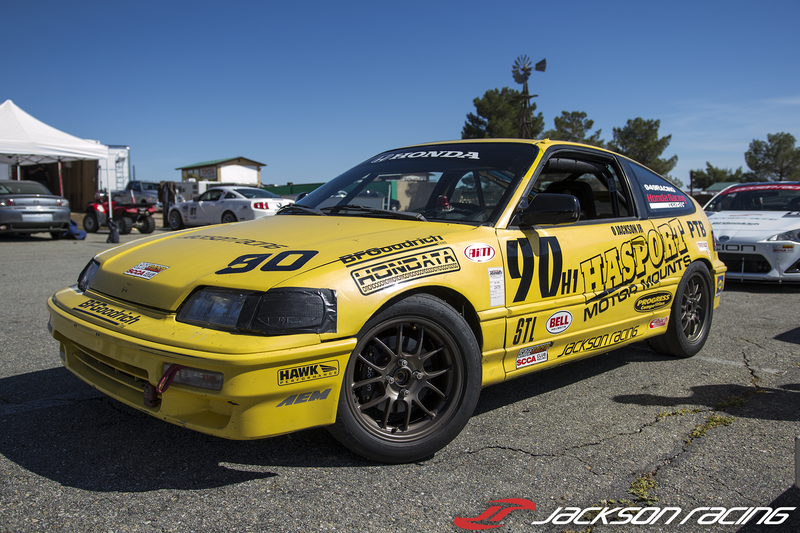 Fellow Jackson Racing supported driver, Clint Boisdeau, was right behind in his B16 powered Honda Civic. 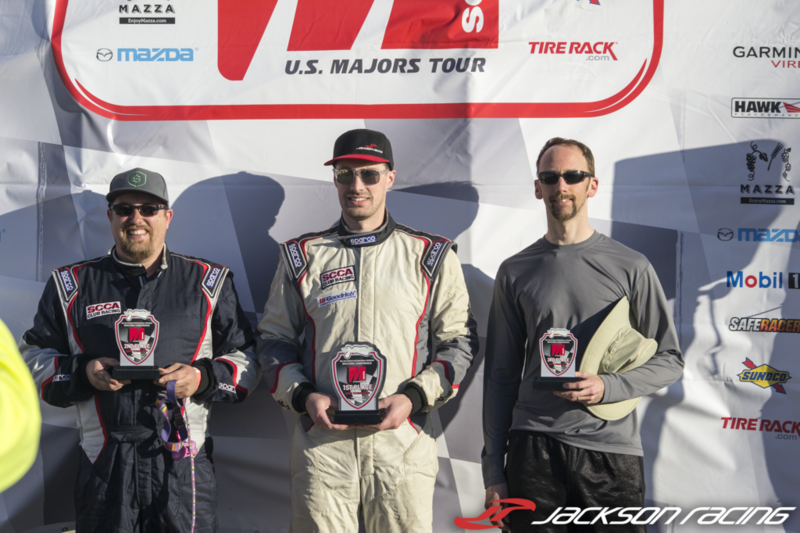 In the end, Jackson Racing got the 1-2 finish in the first STL race of the Majors Opener. Next up was the Saturday STU class race. 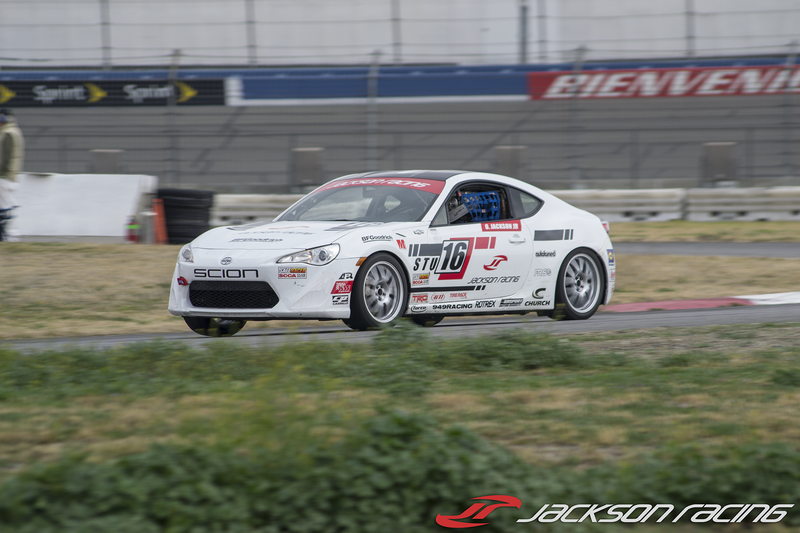 The Jackson Racing Scion FR-S started on pole for this race due to the great driving of Oscar Jr. He had a good start and was pulling away from the rest of the class. The car looked good as it circled the track, but unfortunately encountered an issue that took him out of the race. Luckily, it was a quick fix and the car would be ready for the next day. Day 2 came with A LOT of dark clouds, and last minute decisions. The Jackson Racing team had prepped both cars the prior day in anticipation of rainy races. Looking at the sky, then the weather app, then back at the sky, the decision was to run the BFGoodrich KDW-R rain tires? Or the R1-S race tires? The decision was to run the race tires in the first race with the CRX as the rain wasn’t expected until late morning. Just before the start of the race, the drizzle started. 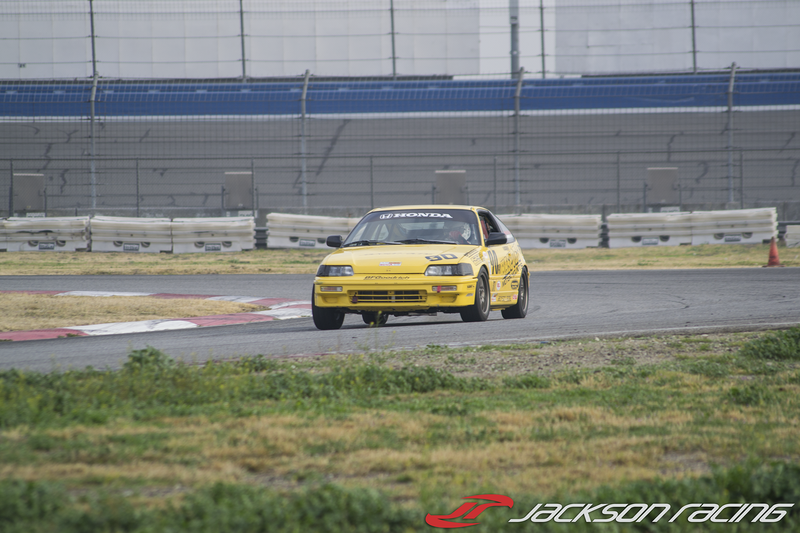 The Hasport/Jackson Racing CRX jumped out and quickly put a good gap between it and the other cars, as there was a chance of the rain picking up. The rain did start to come down heavier, and Oscar Jr. did a fantastic job of maintaining the lead, even while he was slipping and sliding on the race tires. The little CRX took the win again! This car will only get faster and faster as we continue developing the car throughout the season. Confident that the FR-S would run flawlessly this time out, Oscar Jr. was ready to go out there and have at it in the rain. 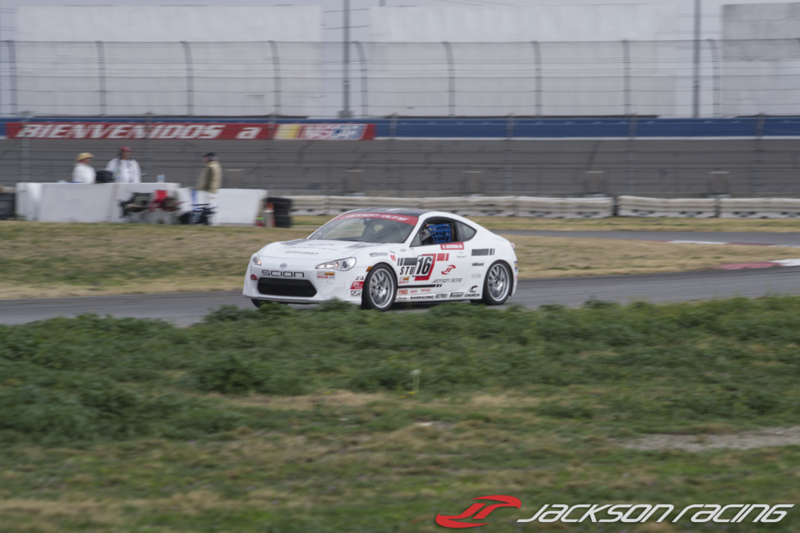 The BFGoodrich KDW-R rain tires worked awesome in the downpour, especially in the flooded areas of Auto Club Speedway. The FR-S was perfect throughout the entire race, which turned into a tremendous lead, of over 1 minute, to our next competitor. 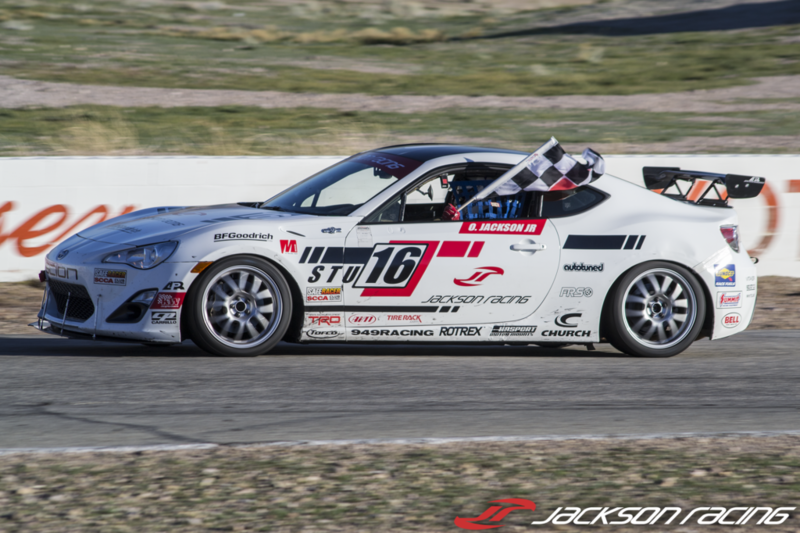 35 minutes later, the FR-S claimed the checkered flag and put another win in the books. This is only the start of a big development year. Now with the Roval races out of the way, a more traditional road course setup is being developed for our car. Stay tuned!